Perfect for practice or use in your next game! This ball has a kapok pressure bonded core with a cowhide leather cover with interlocking seam. 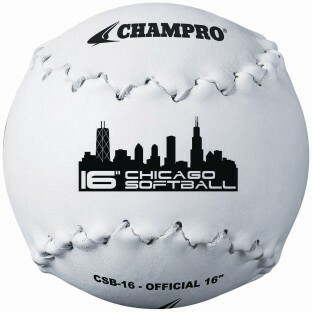 It’s a great game or practice ball that softens up after an initial break-in period. Measures 16". Typically used in softball games without gloves.